Wedding season is officially underway! We are almost completely booked out for the summer but still have a few spots left. 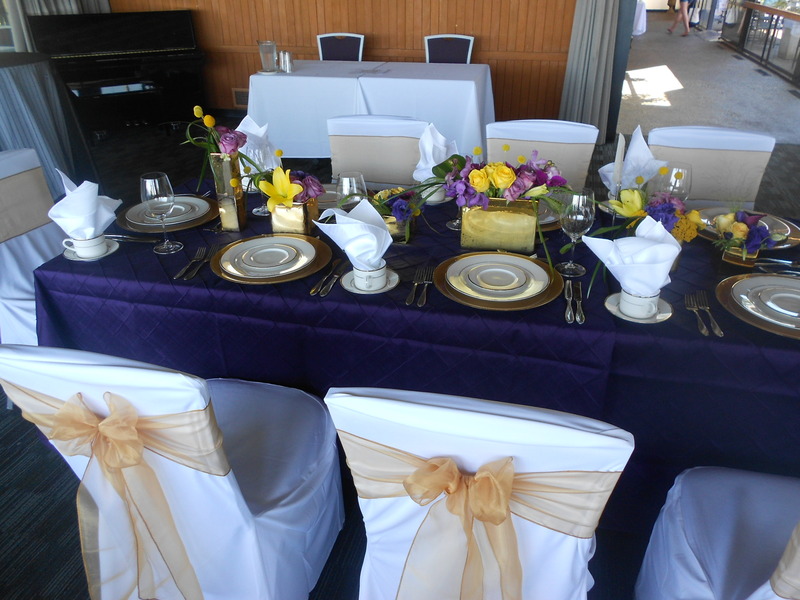 It’s also not too late to reserve chair covers for your upcoming fall and winter events! Contact us today for more information about our current promotions. Hello all! I just wanted to remind everyone that the UW Wedding Show is happening next weekend, Sunday, February 23 at the UW Club on campus. No doubt you all caught up on the happenings from last month’s Seattle Wedding Show on our Facebook page. And now we head into the second show of the season! So, if you didn’t make it out to the Seattle Wedding Show (or even if you did! ), come on down to the UW next Sunday from 12-3pm. Seattle is buzzing about this weekend – there’s a lot going on around town. There’s apparently a football game or something taking place here. Just kidding all you Seahawk fans – I know the game is a BIG deal! GO HAWKS!!!! Aside from the Seahawks taking down the New Orleans Saints, the Seattle Wedding Show is going on! It’s officially going to start getting busy. So all you brides, grooms, mothers-of-the, fathers-of-the, maids/matrons of honor, best men, bridesmaids, groomsmen, ring bearers, flower girls (whew) – come on over to the Convention Center to booth 1312 and let us show you how we can make your wedding experience more magical than it already will be. 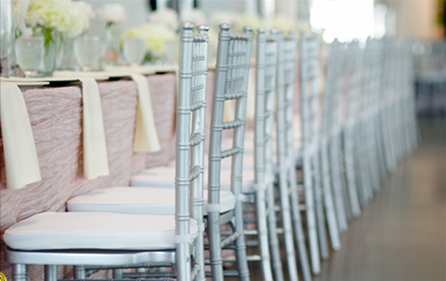 Chiavari Chairs – to cover or not? Chairs – to cover or not to cover? That’s the question. Seeing as how we are Seattle’s Best Chair COVERS, one might assume that we’d always say cover those chairs, of course. I mean duh, right?! Wrong. In my opinion, there are certain chairs that should not be covered. Well, one type of chair really: the chiavari chair. 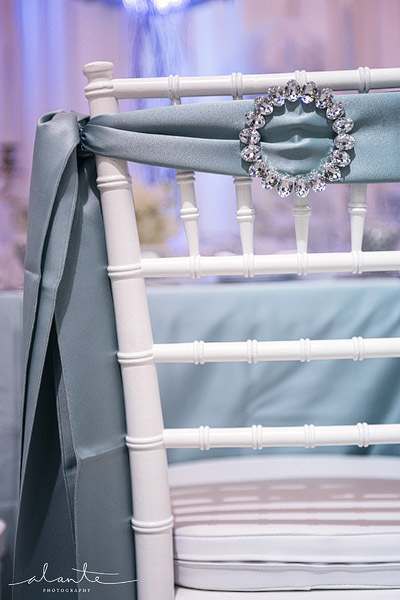 I think chiavari chairs are just so elegant and pretty on their own. However, if you want to add a little extra pizzazz, I suggest going with a subtle option such as adding a sash or ribbon either draped over the chair or tied around the top of the chair. But really, even that’s not needed. Again, all the opinion of one person here. So, what’s the moral of the story? Have your event at a venue that doesn’t have chiavari chairs so you’ll need to rent chair covers from us! 😉 Just kidding! Regardless of the type of chair being used for your event, just be sure to decorate (or not) in your own style. Following up to the last post about incorporating color into an event, check out this bridal party’s attire! Look up towards the front of the group and you can see the bride’s awesomely pink dress. 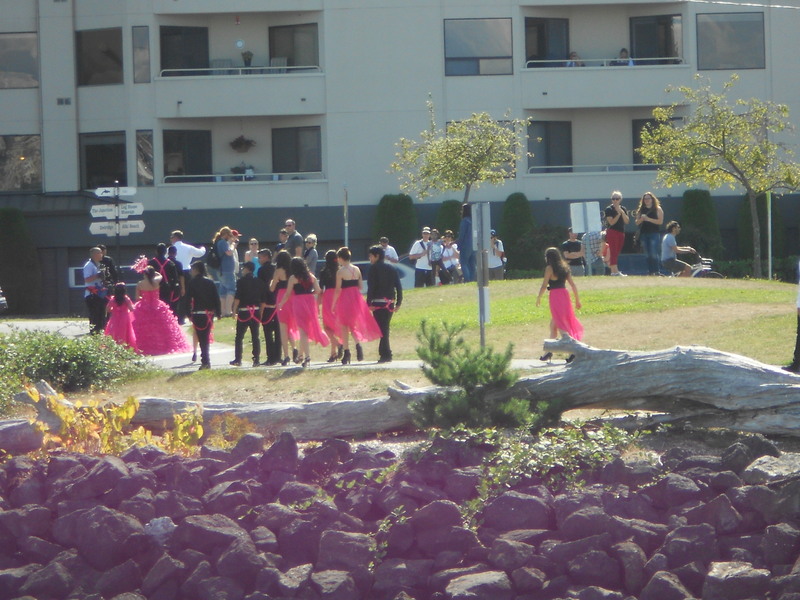 The bridal party, all wearing a combination of hot pink and black, got more than just a few onlookers as they were taking photos near the West Seattle docks last weekend. In addition to my own camera snapping some shots, I saw tons of onlookers with cameras in their hands and smiles on their faces as this bright bridal party passed by them. Way to make sure your wedding was true to your style, bride and groom. And congrats! 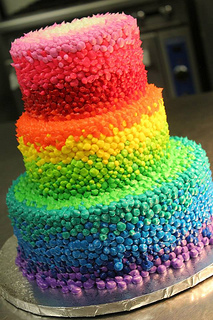 I was recently trolling Pinterest, not an uncommon activity for me these days, when this colorful (and I mean colorful) cake caught my eye. Forget black shoes! 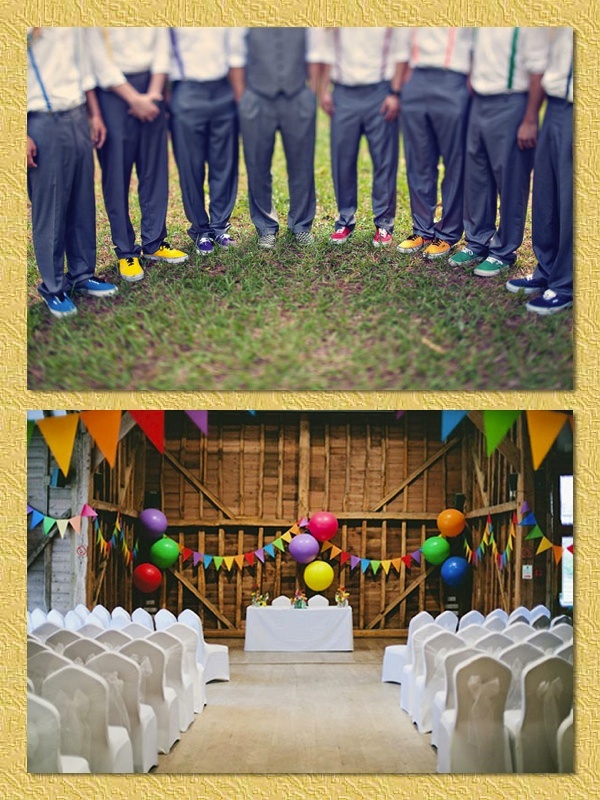 Put the men in some colorful sneakers with matching suspenders! 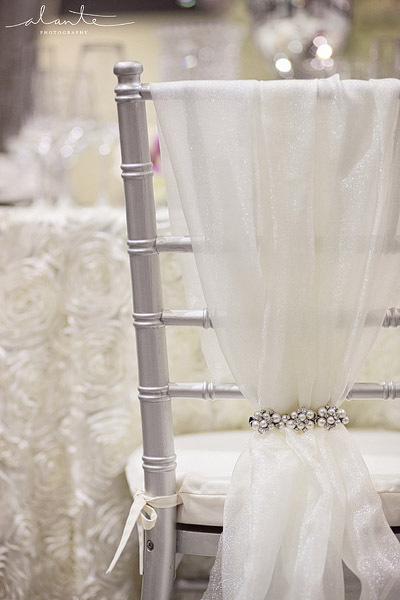 White chair covers and white sashes allow a nice background setting to showcase the colorful decor. Obviously you don’t want your special day to look like a circus either. So again, do what you feel comfortable with – whether it’s going all out with every color of the rainbow or sticking to one color palette (even if that color is white…ooh, an all-white wedding!!!). 1. Install Quicksand font (assuming you want to use their suggested font). 2. Download the PDF file. 3. Open the file in Adobe Acrobat and edit the details. 4. Print! They suggest printing on white card stock. If you’re in need for free printables for other wedding-related items – save the dates, invitations, thank you cards – I suggest checking out their One Heart Weddings site. 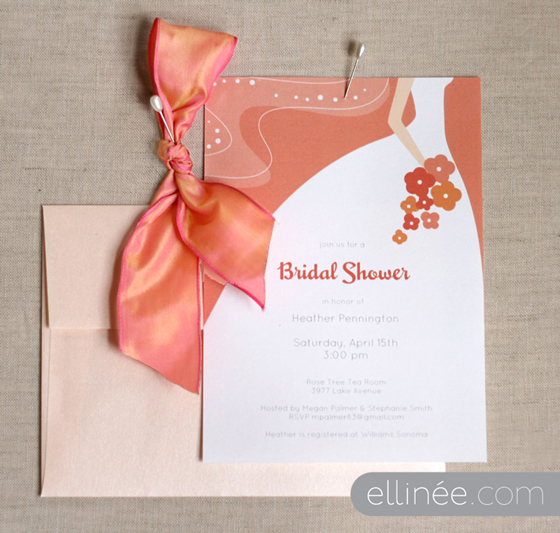 Have fun being creative and budget-savvy with your stationery!